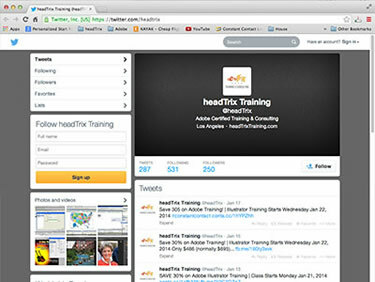 Social Media Marketing Training Class in Los Angeles or Live Online - Develop your brand with Social Media | Level 1 | headTrix Training! Social Media Marketing| Level 1 Facebook, Twitter, LinkedIn, You Tube, Blogs.... these social platforms are doing more than driving buzz - they are driving traffic and empowering companies. Gain the power to shape consumer conversations and amplify word-of-mouth chatter. 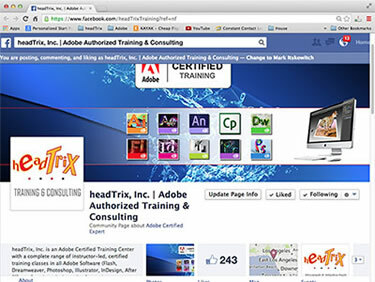 Learn the power of Likes, learn to market to your audience to browse, join and purchase right from Facebook! Learn to survey your market and Implement a Social Media Strategy! Learn the key to finding your niche with Twitter, a necessary business-consumer communication tool. 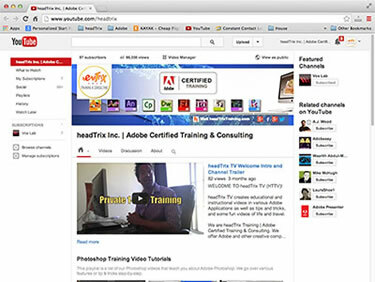 Create a custom YouTube channel, add content, channel art, get subscribers, subscriptions, make friends & money! The Number 2 Search Engine! Learn about Google Plus communities, private communities, creating a business page, and using message boards. Learn how to set-up your account, profile and create a winning strategy to generate new business & cultivate leads. 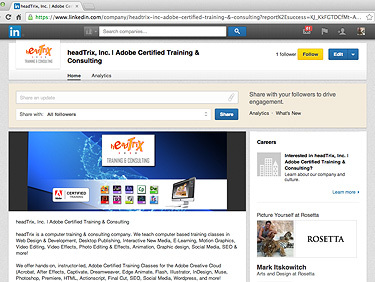 What will I Learn in Social Media Marketing Class? 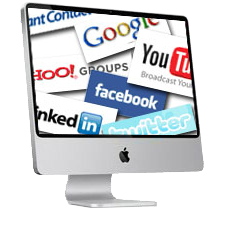 Social Media Marketing is for any business looking to understand how to leverage social media. Everybody is using social media, including celebrities and fortune 500 companies! It is here to stay and if you know how to use it, the benefits will flow endlessly. Understanding how the social network works. What can social media do for your brand. The psychology of consumers – What do YOUR potential customers want? Does your website reflect your brand’s personality? How will it help my search engine ranking? Engaging your followers – Who sees your post? 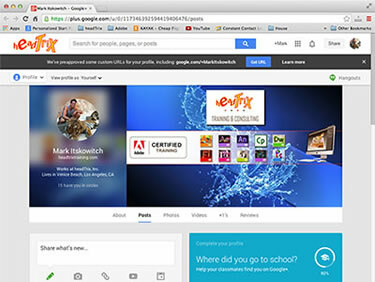 GOOGLE+ - IS IT WORTH IT? “It was a great class. Hopefully part two is in place! and Onsite Social Media Training nationwide.